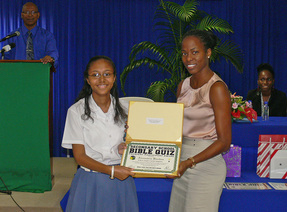 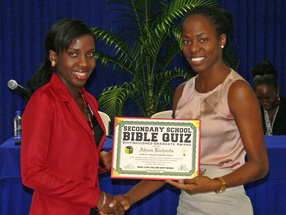 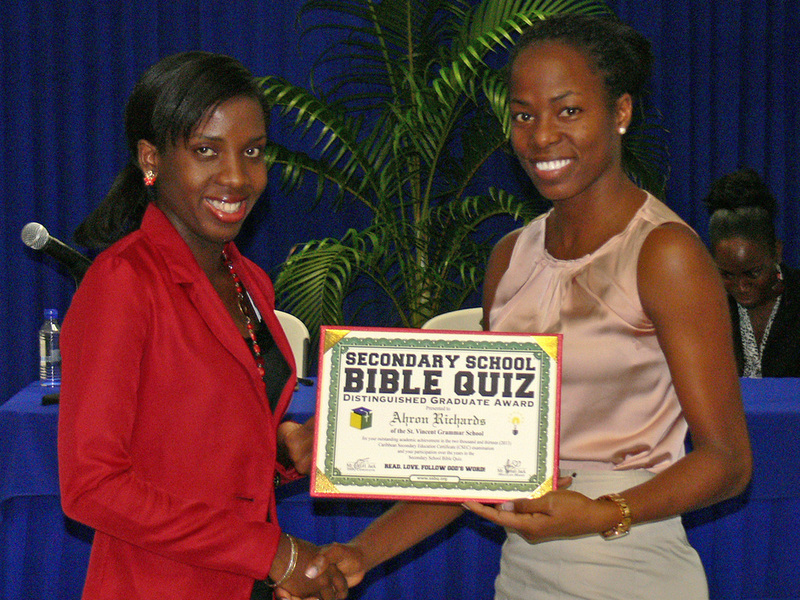 Alexandria Bacchus of St. Joseph's Convent, Kingstown, receives her award presented by Jehann Jack. 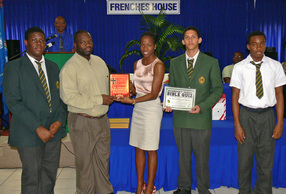 St. Vincent Grammar School headmaster and students receive their award presented by Jehann Jack. Safay Richards, on behalf of her brotherAhron Richards receives award presented by Jehann Jack.